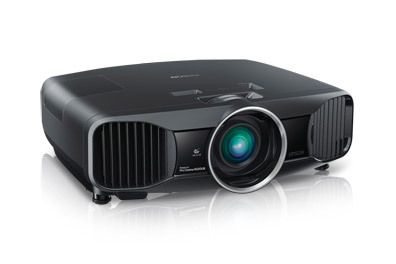 The Epson PowerLite 6020UB LCD projector is ideal for mobile presentations for small- to moderate-size groups. Weighing in at 18.4 lbs. and measuring in at 5.6 in high, 18.3 in wide, and 15.6 in deep, this Epson LCD projector is an easy take-along device that will entertain family members or business colleagues alike. With full HD features, this LCD projector allows all viewers to watch presentations come to life or review pictures or movies that make the viewer feel like they are in a theater. Setting up this Epson LCD projector is a cinch with the HDMI cable and its compatibility with 720p, 1080i, and 1080p/60 HDTV. The Epson PowerLite 6020UB LCD projector provides a native resolution of 1920x1080 pixels and an aspect ratio of 16:9 HD. To conserve energy, this Epson LCD projector comes with a bulb that offers up to 6,000 hours of light source when used in eco mode and is powered by 100-240 volts. Image Size (Diagonal) 30 in. - 300 in. for movie viewing the way filmmakers intended. Your cable TV, Blu-ray® player, game console, Apple® TV, Roku Streaming Player and other entertainment devices can all be connected. And, with the widest lens shift in its class, the Pro Cinema 6020UB offers fast, easy and flexible installation.